It’s the most wonderful time of the year in Austin and there are so many fun and festive events to attend with family and friends. Enjoy these local holiday traditions all season long! Coffee lovers, unite! As much as I’d like to convince myself that I’m an adult superhuman possessing the power to make it through the day without caffeine, I’m a sucker for some hot bean water. I recently wrote about the top coffee shops in Austin for MorelandBlog.com, my company’s blog, but wanted to share my own favorites on MissMadds.com! So here you are, my coffee-loving fiends. And don’t worry, tea lovers! You can grab an iced chai latte or hot herbal tea at these coffee shops. If you ask me, there's nothing better than strolling through the farmer's market on a lazy Sunday morning with a pocket full of cash and hungry tummy! Some of my fondest summer memories take place at the Mueller Farmer's Market, which I used to attend weekly before brunching at Eastside Cafe and then lounging by the pool. Austin has some of the best farmers markets there are, and with so many each day there's no reason you shouldn't go! Be sure to bring cash and a grocery bag with you when you go! 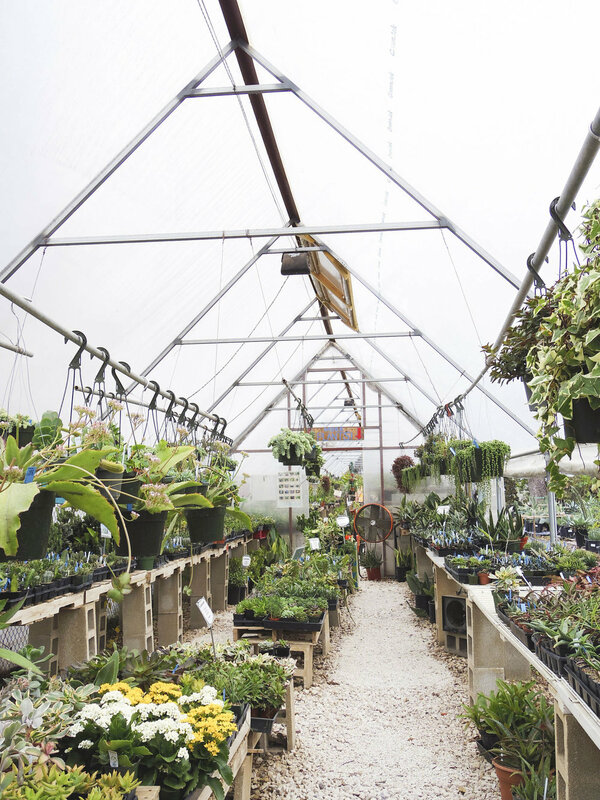 Sustainable living is easy in Austin when you shop and eat local. These farmers markets offer a great opportunity to get acquainted with local farmers and brands around the city. List originally published on One More Thing. When I first moved to Austin, I had a hard time connecting with the city. I wasn't used to living so close to downtown, and wasn't sure how I felt about my friends' obsessive need to drink copious amounts of alcohol on this place called "dirty sixth" every night? It took me a while, but I eventually found solace in two things: The Blanton Art Museum and Barton Creek Greenbelt. Spring is by FAR the best time to hike in Austin. The city comes to life as the landscape starts to bloom, and with it comes some of the best scenery to visit and explore. In case you're a seasoned pro like me when it comes to hiking around central Austin, there are a few more spots listed on the outskirts that you might want to check out this year! What to Expect: Several access points, unofficial unpaved trails, small rapids and falls, and rock climbing. What to Expect: Springs and waterways, scenic cliffs, waterfalls, and archaeological features. What to Expect: Long winding trails, varied terrain, sports centers, picnic areas, and a swimming pool nearby. What to Expect: Boardwalk, rocky stairs, hiking trail, elevation changes, views, trickling streams, wildlife, rock formations. What to Expect: Rugged terrain, Hill Country landscapes, native wildlife, and great bird watching. What to Expect: Multiple trails and watering holes, historic sites, rock climbing, and an entry fee of $6. What to Expect: Sweeping views, steep stone stairs, a loose gravel-paved trail, side trails leading down the hill, and a wonderful photo opportunity. What to Expect: Steep but short hike to the top, views, and a wonderful photo opportunity. What to Expect: Rough terrain, creek access, bike trails, and hilltop views. What to Expect: Dirt trail, Greenbelt access, close proximity to neighborhoods, shopping centers, and schools. What to Expect: Leisurely stroll, access to Colorado River, wildlife, and roaming peacocks near the cottage grounds. What to Expect: Native wildlife, looping paths for a longer hike, a few lookout areas, and suggested donation upon entry. What to Expect: Wildlife, walking trails, hills, and peaceful atmosphere. What to Expect: Technical trail, climbing, running trail, jeep trail and service road crossings, and high points. What to Expect: Short hiking trail, creek access, and terrain fit for mountain biking. What to Expect: Multi-use trails, views, and an entry fee of $10. If you're looking for a full-on camping trip, make sure you take a look at the 9 best places to camp in and around Austin by CultureMap! I'm a huge fan of McKinney Falls... I've shot grad and personal photos there, hiked those trails with countless loved ones, and soaked up the sun from the watering holes like summer would never end. I can't wait to spend some time in nature this spring! If you know me, you know I LOVE ME A GOOD TACO. Like I'm so close with tacos that one time I ate them 12 times in ONE week. You read that right. My empty post-ACL fridge was sad and El Chilantro is on the way home so I shamefully spent about $75 on tacos in a single week coming and going to work. When I'm not grabbing a Cherrywood from El Chilito and bracing myself for a stomach ache from eating eggs and gluten, I'm likely grabbing a veggie breakfast taco with spinach and black beans on a corn tortilla from Tacodeli. Here are a few local favorites around town for you to try! Try any of the four breakfast tacos with jalapeño ranch. Try the Don Juan el Taco Grande. Try the Miga Taco Con Todo from this Eastside gem. Build your own breakfast taco, or opt for a breakfast bowl with up to four toppings. Try The Otto and be sure to grab their creamy salsa Doña. Try the La Reyna taco. For a vegetarian option, try the #8 vegetarian migas and cheese. Taco Mex is a walk-up window on Manor Rd. Try any of the simple, authentic breakfast tacos. Create your own taco from the Street Taco Bar. Every day is Taco Tuesday in Austin, and I'm a big supporter! You can't go wrong with any of the above eateries, and being adventurous is a must -- Try their specials and be sure to grab a yummy sauce since each restaurant has something completely different to add to your tacos! When it comes to dating, I wouldn't call myself a pro. But when it comes to thinking up cute ideas of things to do around Austin, that's another story. I find dating to be particularly stressful (mostly because I'm a surprisingly messy eater, very clumsy, and hate being paid for) but I've had a few good dates around town. Even though Austin men were recently named the 'worst behaved singles in America', there are still plenty of cute and fun things to do if you're celebrating Valentine's day with your boo or your bestie. I love nothing more than a hearty brunch followed by a walk across South Congress Bridge. Not only does it show off one of my favorite views in the city, but getting some fresh air after eating a big meal with a latte in-hand always makes me smile! For brunch, I frequent Walton's Fancy and Staple, 24 Diner, Annie's Cafe & Bar, and Forthright Cafe. Two years ago, I took myself to the 360 bridge for Valentine's day. This spot has always been a favorite of mine in Austin. I love how peaceful it gets when the cars stop rushing by. It's a great place to be alone with someone and get a chance to really know each other without the distractions of a restaurant, bar, or party. Instead of going up to the top of 360 Overlook, I always veer off onto the lower ledge about halfway up the trail. It's far more private, and you don't have to watch people snapping Instagram photos. A few years ago, I skipped a date event and went on a culinary adventure with the friend I was taking out that night. It was easily one of my most memorable nights in the city! We went from one restaurant to the next, ordering an appetizer each at every restaurant. It's easiest to do this downtown so everything is within walking distance. My favorite places for appetizers are Peche, Second Bar + Kitchen, Italic, and Roaring Fork. I remember the first time I stepped foot into Zilker park at night, and there's no other way to describe it than magical! It's pitch black in the park after the sun sets, and you can see the entire skyline lit up between a break in the trees surrounding the area. It's great for a romantic night of skyline gazing (since it's sometimes too bright for stars) on a picnic blanket! The fact that you're surrounded by complete darkness and can't see anyone else in the park makes you feel like you're alone in the middle of the city. Make sure you go before 10pm so you don't get kicked out! If you're looking for something seriously fun to do on maybe a second or third date, this is a great way to let loose and get sweaty! I find drinking on East 6th preferable to anywhere else in Austin, because there's less pomp and circumstance that goes into it. My favorite East Side bars to visit are Yellow Jacket Social Club, Whisler's for craft cocktails, The Volstead for dancing, and Rhino Room for a game of connect four. 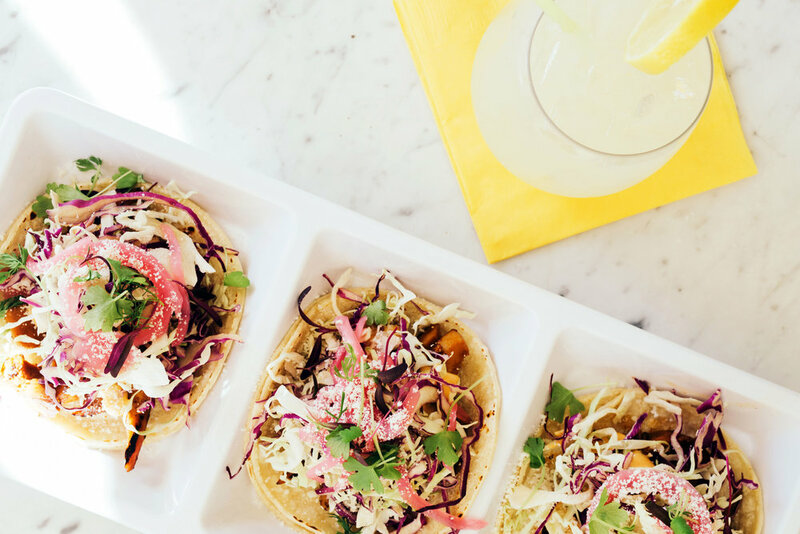 For more ideas, take a look at my East Austin City Guide! Finish the night by taking a ride share to Barbarella, and dance all that alcohol out of your system. Get your hipster on at AFS Cinema! This teeny tiny theater is owned by Richard Linklater and only offers around 2-4 movies on any given night. They serve candy, small bites, and alcohol, and the no-frills theaters are retro af! The red carpet, dim lighting, and lounge seating in the lobby make this theater an intimate, incomparable Austin find. One of my all time favorite dates was a day at McKinney Falls State Park with someone I had just started seeing. The weather is perfect from March through October, and the park has multiple watering holes you can cool off at after hiking. I'm not a fan of getting to know people while sitting across the table for a typical dinner date, so I always jump on dates that involve hiking! Make an adventure out of it and grabs snacks, drinks, or picnic food to bring with you and eat while you're at the park. These are just a few of my favorite things to do around the city (that don't revolve around drinking!) Whether you're out with the girls or just meeting someone special for the fist time, Austin's romantic scenery is the perfect place for something amazing to bloom. Austin's vibrant art scene is everything but conventional, lacking nothing when it comes to creativity and imagination in the presentation of all types of art around the city. From sophisticated sculptures to abstract wall murals and everything in between, this guide will help you find the best art adventure for your interests. Spread throughout downtown Austin, these museums have everything from contemporary works to rich cultural creations and rotating exhibitions to please every art-loving Austinite. Proudly perched on the corner of Congress and 7th, The Contemporary Austin Jones Center is an iconic establishment devoted to bringing world-class artists to Texas' capitol city. Once a three-story brick building, its multimillion-dollar facelift recreated the space which now boasts multiple galleries at street level, a main gallery on the second floor, and a 5,500-sqft rooftop deck for screenings and events. Just a few blocks away from the Jones Center sits this Austin gem, one of the nation's few museums dedicated solely to Mexican and Mexican-American art. The 20,000-sqft building features two galleries in which rotating exhibitions host everything from traditional to contemporary shows. Due to their collaborations with Mexican institutions far and wide, many major cultural works make an appearance at this museum that would rarely be seen outside of their native country. Inside the fine art building of The University of Texas is the UT Visual Arts Center, a space with five galleries for rotating exhibitions showcasing the work of UT students, faculty, and emerging artists from around the world. Multiple-exhibition areas house a variety of work in a smaller space, shedding light on the collaboration and experimentation between members of the UT art community. When incorporated with Austin's beautiful natural scenery, art comes to life. These outdoor art collections are perfect to explore on a sunny day, and have the power to make you feel like you're far outside city limits. Charles Umlauf's cast pieces have been seamlessly integrated into the culture of Austin, and this beautiful outdoor garden is a culmination of his legacy. Over 130 pieces can be found between the trees of this garden tucked between Barton Springs and Zilker Park, a combination of both Umlauf's iconic dramatic figures, works from other artists, and the winner of the annual Umlauf Prize for student artists. An ethereal blend of nature and art, this lakefront property removes visitors from the hustle and bustle of the city and transports them to an imaginative landscape all their own. The Mediterranean-style villa of Clara Driscoll welcomes visitors in a stately manner, but a stroll around the grounds and down to the lake will reveal a slew of beautifully-incorporated sculptures. Austin's street art scene is one to be appreciated in conjunction with the above fine art establishments. Vivid colors, bold designs, and powerful messages can be found along the streets of the city, ranging from small designs to wall murals. One of the city's most well-known street art venues is HOPE Outdoor Gallery, which will be moving from Clarksville to the East Side in 2018. Professional graffiti artists and ambitious amateurs alike visit "Graffiti Park" with spray paint in tow, and it's one of the city's most popular Instagram spots for good reason—The bold art and skyline views make for an unbeatable photo. This fun art tour spans the entirety of downtown Austin, visiting a thorough collection of the most iconic street art the city has to offer. Led by a guide, this two-hour adventure is a great way to see a new side of Austin and get to know the wall murals and colorful oddities you pass every day. When it comes to art, Austin's blend of far-out finds and classic pieces offers a little something for every local to explore. Like what you see? Message us and tell us what your favorite museum or gallery is on one of our social media pages. I'm SO excited to be writing this post -- As an avid photographer and lover of art, it's my pleasure to let you know (if you haven't already heard) that Austin is holding the inaugural FotoATX Festival from January 5-February 3rd across the city. Since I don't enjoy wasting my weekends drinking myself to sleep on Rainey, I'm always on the lookout for fun things to do around the city that force me to go out around the city and see things a little differently. Art has always been a love of mine, since I grew up going to museums with my family, but I found a true passion in photography when I was ten. Since that day, I haven't been without a camera! Austin's art scene has been making big moves with the expansion of the East Austin Studio Tour and November was recently named Austin Art Month by Mayor Steve Adler. Austin's new photography festival that showcases work from Austin photographers across the city for locals and tourists to enjoy. You can find a full list of events and exhibition details here. Cultural Arts Division of Austin’s Economic Development Department, The Museums and Cultural Programs Division of Austin’s Parks and Recreation Department, and other community partners. I'm most looking forward to the 'Austin Women by Austin Women' exhibit at the Elisabet Ney Museum. I've always wanted to check it out but still haven't been, and the topic is of course one that interests me! Quite a few of the galleries are on the East Side, so if you make it over to my neck of the woods to experience some Austin art, be sure to take a look at this East Austin City Guide and make the most of your day in the area. The creative hideout of Austin, the East Side is full of good eats, great shops, and an amazing blend of cultural richness. Fair Market (1100 E 5th St) - Bright teal metal doors and solid distressed white walls. East 11th - This street is charming, and great for lifestyle photos. Blue Owl Brewing (2400 E Cesar Chavez St) - White wall with two dynamic blue stripes. 1109 N I-35 - Sketchy, but such a cute two-tone pink wall. Brew & Brew (500 San Marcos St) - Great for those artsy coffee pics. East Austin Succulents (801 Tillery St) - So many different options for succulents, rocks, and planters. Sunday Farmer’s Market Mueller (4209 Airport Blvd) - Bring cash to shop farm fresh finds! Boardwalk Southshore (Parking along the river) - Great for a date night stroll or evening run. How to Dress - Laid back clothes with an edgy twist. It's more than socially acceptable to show up at any bar in jeans and a cotton tee, but leather jackets and funky accessories are East Side favorites as well. What to Bring - The two most important things you can bring to the East Side when visiting are a camera and an appetite! Home to my favorite walls in Austin, the area is perfect for snapping Instagram photos or shooting film. And the food is, well... Divine. Did I miss something? Let me know what your favorite spots are in the comments section below. Follow Miss Madds on Instagram for more Austin tips! Make sure your visit is #MissMaddsApproved. The perfect gloomy day or weekend activity in Austin? A visit to East Austin Succulents with friends, of course! I'd heard great things about this little succulent farm located a few minutes east of I-35, and my first trip didn't disappoint. My favorite section is actually outside of the succulent tent in the back right corner. There you'll find tons of tera cotta and stone pots, plates, and holders. I love buying these and painting them for my friends! If you're a succulent lover like me and my friends, you'll definitely love EAC! If you only have a limited amount of time in Austin, you probably feel overwhelmed with your options when it comes to sightseeing, eating, and Instagram-ing! Don't stress. I've put together an EASY Austin guide for you to use to make the most of your time. From the University of Texas campus to one of the most well-renowned coffee shops in the city, everything you need to see is on this list! Since my friend had never been to Austin, I had to show him the best part of campus--the tower! Notable buildings to see include the Texas Union, Main Building, and buildings surrounding the South Mall. The clear blue skies made for some perfect photos. Hope Outdoor Gallery is a space where local street artists and individuals can showcase their graffiti on a series of cement walls near Castle Hill. Some graffiti is done by experienced professionals and some is just considered tag art, but the graffiti wall is always a must for tourists. Did you even go to Austin if you don't have pictures from the graffiti wall? This quaint coffee bar is located on South Congress, and is home to the famous "I Love You" street art that numbers of people pose next to for a picture each day. Not only does Jo's serve coffee, but they have food, beer, and cute rustic outdoor seating. From Jo's you can easily walk up and down South Congress. Since this area is always crowded, I recommend parking on back streets such as James St behind Jo's. Off the beaten path of South Congress and located on a back road, the "Before I Die..." wall is part of a greater art movement by artist Candy Chang. The original "Before I Die..." wall is located in New Orleans, but they have since become an international project. There is always chalk located around the wall, so stop by and write your hopes and dreams! The original Whole Foods Market remains, in my opinion, the best Whole Foods Market there is. Whole Foods is half grocery store half restaurant, and has a variety of foods to pick from in the cafe area. Pizza, sushi, tacos, salads--this is a great place to go if you are running into problems trying to decide on a restaurant, or if you're in the mood to experiment with foods you haven't tried before. I always get a large brown box and fill it with food from the salad and food bars, paying by the pound. Since we weren't hungry for a big lunch, we settled for a light snack at Mozart's. 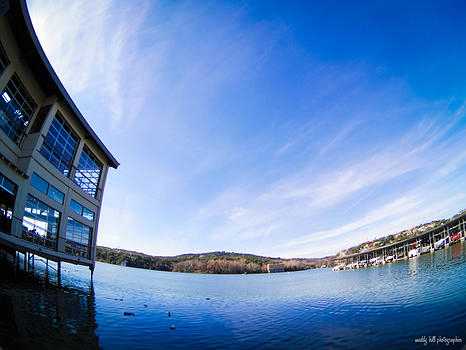 Sitting lakeside, this huge coffee shop is easily one of my favorite places in Austin. It's perfect to talk with friends, study, or clear my mind on even the most hectic day. They offer indoor and outdoor seating, both upstairs and right over the water, and even put up a Christmas lights display outside each year. For parking I recommend the Oyster's Landing parking lot, located right across the street from Mozart's. Not only is it Texas' capitol, but Austin is a great city to visit with a variety of things to do from live music, to art and outdoor activities. While this post doesn't even begin to cover Austin, I hope you enjoyed reading about what I did the past few days! For more information on visiting Austin, what to see, and where to eat, feel free to contact me! Summertime in Austin is one of the most glorious things on this planet (minus the fall in Austin, because it's just as wonderful and exciting for different reasons.) I have a summer routine in the city, and it includes: Morning iced coffee, weekly visits to an outdoor space, and OF COURSE the farmer's market on Sunday mornings after brunching at a local eatery. If you're visiting the city between June-September, take a look at this list of things to do. This weekly East Austin farmer’s market is always fun, even in the light downpour that occurred Sunday morning. Mueller Lake Park was still hopping with families, and we were able to salvage a solid amount of good produce. My favorite part: Buddah's Brew Kombucha, of course. Walking into Blue Dahlia is like walking into a Parisian bistro with an Austin flair. They offer a large variety of pastries, salads and tartines, not to mention macarons for dessert. My personal favorite are the Chicken Salad Tartines, which are served on wheat bread, topped with dried cranberries and served with fresh cantaloupe and cucumber. I was first exposed to this awesome little coffee shop at the beginning of the year, and was amazed by not only the coffee but the atmosphere of the place as well. Brew & Brew, which has a distinctly urban feel, serves both coffee and beer, making it a great place for millenials to hang out. East Side Café has been my favorite brunch spot for quite some time. The small antique house offers reservations if you don’t want to wait for a seat, and has the best eggs benedict I’ve ever had. They serve most breakfast plates with small muffins as well, and the staff is extremely personable. If you do have to wait for a table, Elaine’s Pork & Pie is located directly across from the restaurant and serves coffee, pork and pie. The deep smell of leather hits you as you walk through the tall glass doors of Charm School Vintage on East Cesar Chavez St. There are fine crafted pieces such as shoes, bags and belts along with eccentric and beautiful pieces that are totally wearable. A cement floor and stark walls are contrasted with the sweet handcrafted items that can be found inside Take Heart. The shop offers a mix of modern and vintage pieces from home décor to books and essential oils. Not to mention the fact that this store smells amazing! Described as a “co-disciplinary space for art and objects”, this gallery and gathering place has areas to sit and sip your coffee while listening to music and looking at records. They have a great assortment ofbooks, cards, jewelry and knick knacks as well. I was super surprised to find out that Sydney had never actually been inside the state capitol, so we decided to take some time and see the inside. Luckily for us we found a parking meter with 45 minutes left on it, the perfect amount of time to spend visiting the Texas State Capitol between Inspiro Fest and lunch! 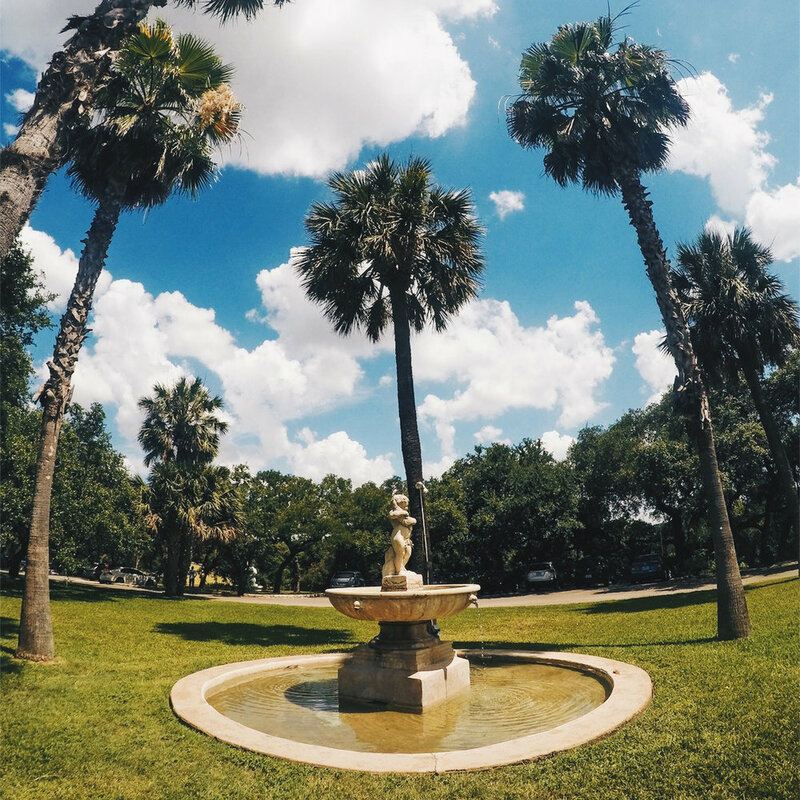 Laguna Gloria is one of those places that you don’t know exists until someone points it out. Located here is a branch of the Contemporary Austin, where many sculptures adorn the winding paths over the property. It’s a great place to take a break from the business of Austin, and peace can be found on a number of benches which are scattered on each path. Picnicking in Pease Park was a great way to close out a long day of running around the city. We packed my favorite picnic blanket and stopped at Whole Foods, then found a shady spot to sit and enjoy our meal. Pease Park looks small from the outside, but there are many places to wander off and find solitude as well. If you want to get a vibe of the city in the summer, check out my video on YouTube (or watch below)!